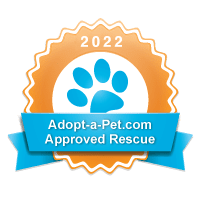 Pit Bulls 101 – Free Info Session!! If you’ve read The Lost Dogs (as we recommended), you may be familiar with the name Marthina McClay, founder of the San Francisco-based rescue group Our Pack, who rescued and rehabilitated Leo. Our Pack is not “just” a rescue; they are also heavily involved in educating the public about this much-maligned breed. We are THRILLED to announce that Puggles & Pitties is partnering with Our Pack and Whole Dog Training to bring you Pit Bulls 101, a free information session about pitties! This is an excellent opportunity for people curious about the breed or new pittie parents to learn more about these amazing dogs, dispel some myths and quash the rumors about these “vicious” beings. This 1-hr class is FREE. Bring yourself, your friends, your significant other, and let’s talk pittie! Please RSVP to Renee @ luckydogLT@gmail.com. Seating is limited to 35 people. This session is for humans only, please leave your pooches home. « Thundershirts to Benefit Puggles & Pitties!